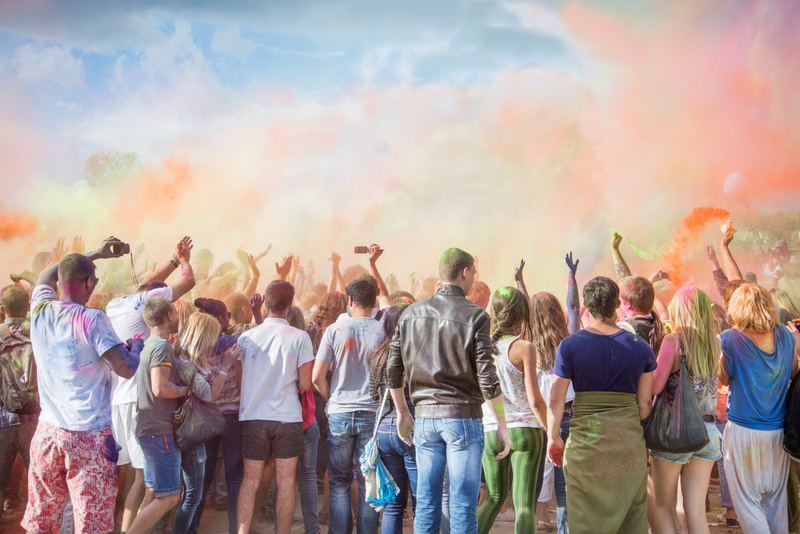 A crowd safety management plan documents how your crowd related risks are considered and how those risks will be managed, not only during normal operations, but also in the case of an emergency. It sets out to avoid the build-up of critical crowd density and the triggering of rapid group movements. Critical density can mean different things for each event/crowd. It is essential to understand this when planning for your crowds to interact with your event space. Crowd Matters will act as the event organiser’s independent representative. We will work with your key stakeholders (landholders, police, security, emergency services, first aid etc.) to build one team for an integrated crowd safety approach to deliver a safe and successful event. Each event, crowd and site is unique. How crowds interact with your event is a critical element of good event planning. Crowd Matters will work with you and your key stakeholders to develop a crowd risk analysis. Consideration is given from the onset to elements such as site design, crowd profiling, arrival/departure profiles, ingress/egress flow rate analysis, density/capacity, topography, crowd movements and space utilisation, for both normal and emergency mode. Crowd Matters will produce a crowd risk analysis that provides a written and visual representation of the crowd related risks for your event. So many things can and do happen at events. Hopefully, they are all good, if plans roll out as intended. However, sometimes it can go wrong. Your legal obligations, under the Work Health Safety Act 2011, states you have a duty of care to minimise/eliminate risks to health and safety so far as is reasonably practicable. Do you know the risks that may have the highest impact on your event? Crowd Matters, through the IOS 31000 Risk Management methodology, will identify, analyse, evaluate and treat risks for your event in a proactive manner. We will work with you and your stakeholder to focus on solutions through the use of effective control measures. Crowd Matters will develop a proactive Emergency Management Plan tailored for your event. It will document a proactive response to threats and dangers to the safety or health of persons or damage to property. We will identify potential emergency related risks and develop strategies to help minimise or mitigate those risks. We will liaise with security, police, emergency services and landholders in the lead up to and on event day to free up the event organiser to focus on the overall delivery of the event. Our objective is to prevent, prepare, respond and recover from emergencies by working with your stakeholders to ensure strategies, plans and processes have been established. Crowd Matters has extensive experience in event management. We love all things operational and logistical. We will help you deliver the results you require. We can act as an independent representative to liaise with your stakeholders to build one team to increase efficiency and effectiveness of service delivery. We can assist with strategic planning, stakeholder consultations and working groups, operational manuals, checklists, templates, facilitate briefings the list goes on! We are happy to discuss any short term projects you may have to help you deliver your objectives. How do you know if your plans will work? Crowd Matters will plan and facilitate a tabletop exercise with your key stakeholders to explore the effectiveness and readiness of event plans. This exercise will highlight any potential areas for further development so that stakeholders have sufficient operational and tactical resources to respond to incidents, including emergencies, if necessary to fulfil their duties.